Blizzard has been telling stories differently in the last couple of World of Warcraft expansions, and that approach is going to continue. That’s according to the devs speaking in a panel at E3 Coliseum today. For example, Legion introduced Battle for Azeroth’s new allied races with several dedicated storylines. The new expansion will pick apart the unity forged by the battle against the Legion in the two central high-stakes stories for the Alliance and the Horde, and many plot points from old expansions will be picked up and interwoven into the new story. For more epic multiplayer questing, check out the best MMOs on PC. Community site Wowhead has been keeping an eye on the panel, which featured senior narrative designer Steve Danuser, cinematic director Terran Gregory, senior writer Christie Golden, and ubiquitous voice actor Matthew Mercer. 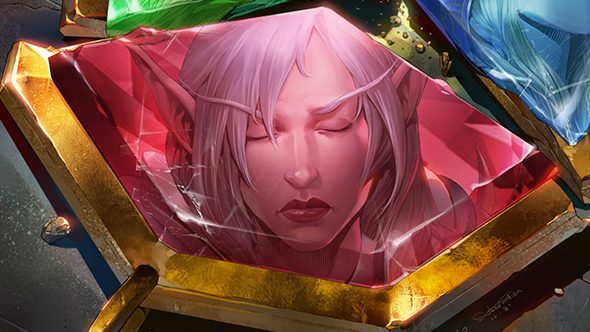 At the start of the month we previewed Windrunner: Three Sisters, the third and final comic before the release of Battle for Azeroth. The story sees the iconic Windrunner sisters – Sylvanas, Alleria, and Vereesa – reunited, even as the trio are ridden with doubts about whether their wildly different lives and loyalties will overcome their family ties. By many measures, Legion has been the most successful World of Warcraft expansion to date, and a radical reversal of fortune after the nadir that the long-running game suffered after Warlords of Draenor. It would make total sense if this is a strategy to retain players that invested then by extending those stories.